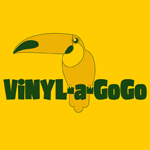 Vinyl-a-Gogo´s Discogs Onlineshop Sales all stocked in the Shop. we are selling for a couple of years our little treasures worldwide. More than 3000 transaction have been made so far. Buyers from USA, UK and Japan are in leading positions on my export list. But I have sent vinyls to all continents. From homebase Germany to Bangladesh, Taiwan, Sri Lanka, Vietname, Mocambique, Angola, Bahamas, Brasil, Tasmania, Russia, Panama or Cook Islands. Beside North and South Pole I have safely sent registered Maxi letters all around the world. Thank you German Post! All records offered are separately stocked and not for sale in the shop. But you can always come to the shop and ask to have a look on them and to purchase directly. Just ask.